Dana Heartman has a passion for helping people identify ways to improve their lives and relationships. After 10 years as a Sales Director in Enterprise Software, she began Foundation Coaching Group in 1999, originally providing sales training, executive coaching and business consulting her business seemed to naturally morph to personal coaching as her corporate clients wanted to work on more than just their professional goals and began seeing her to improve the dynamics of their personal lives and relationship. Dana’s purpose, as a Master Life Coach, is working with individuals, couples, adolescents, families and professionals to guide them towards their full potential and their best lives. In 1999, Dana began working with a non-profit seminar where she met Founder Jim Carroll and Managing Director David Bishop and joined them as they delivered life changing seminars each month. In 2002, the trio set out to launch Jim’s new accelerated programs, The Life Enrichment and Marriage Boot Camps that were designed to deliver a powerful life-changing impact to those attending in just 4 days. Later, joined by Jim’s wife Elizabeth the team began receiving national recognition as more and more lives were changed and in time, there were TV specials for the Discovery and Learning Channels and appearances on shows, like Dr. Phil, Dr. Drew, Gene Simmons Family Jewels to name a few. In 2012, the team launched their own show on WETV, the “Marriage Boot Camp” where each season they are challenged, on air, to help couples, with television persona’s, that have relationship problems. The show is currently filming its 7th season. Whether on TV, directing live seminars or working one on one, Dana’s strategies are clear and her approach is straightforward. She speaks to large groups ranging from corporations and women’s organizations to teen groups where she applies common sense and a great sense of humor to the day to day issues that are relevant to each audience. 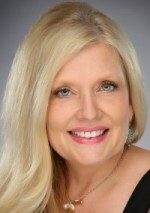 Dana grew up in Dallas, TX, studied Business Law at Northwood University and is a Certified Master Life Coach. She and her husband John share a blended family consisting of her daughter Kelsey who is a novelist and teacher and Son-in-Law Daron, her son Clint who is in private security and her precious step son’s Thomas who is attending Baylor working on his Masters degree and Lawson who is a High School senior and soon will carry on the 4th generation tradition of Baylor and Baylor Football. She has two dogs, Dooley and Bella that she adores. Her family is absolutely her greatest joy.